it is your house too. to laugh and give thanks. 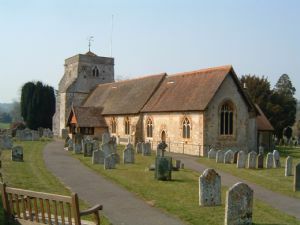 The church of St Mary the Virgin, Frensham has been a centre of Christian worship for over 750 years. It was built in 1239 when the earlier church near the river was abandoned due to flooding. The chancel is the oldest part of the building, the tower was added in the 14th century and the north aisle was built in the 19th century. The newest addition is the hall extension which was built in 2014. 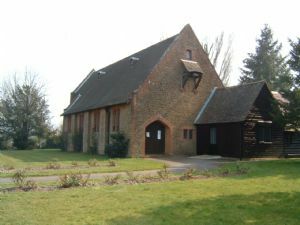 The Church of the Good Shepherd, Dockenfield was built just over one hundred years ago and is a beautiful example of the arts and crafts movement and architecture of the period. These magnificent buildings in their rural setting provide the perfect place for worship, celebration, solace and prayer. However, we believe the church of God is so much more than buildings. The family of God is an inclusive growing community learning about God and being transformed in God's love. People of all faiths and none are welcome. Our parish has growing congregations gathering for worship, activity, love and life both in Church and connected with the community at large. Our commitment is to create an environment in which the message of God's love gets through.